Various comments have been published related to the stance I took regarding the text of the Holy and Great Council of the Orthodox Church with the title: “Relations of the Orthodox Church with the Rest of the Christian World.” Some write that I didn’t sign it, others that I did but with reservations, and others that I did. With this statement of mine, I confirm that in actuality I did not sign this text and that besides this I’ve expressed my reservations about the texts “The Mission of the Orthodox Church in Today’s World” and “The Sacrament of Marriage and its Impediments” on particular points which I made clear during council sessions. 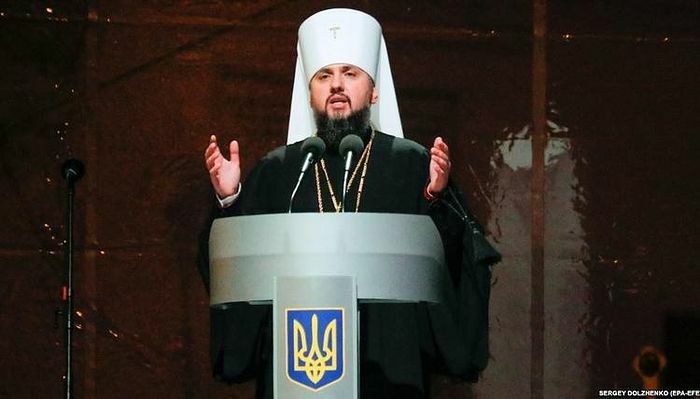 Especially about the first text “Relations of the Orthodox Church to the rest of the Christian world” I want to say that truly after deep thought based in theological criteria, I did not sign. It is not time yet to put forward all of my historical and theological arguments, something which I will do when I analyze more generally all of the processes and the [spiritual] atmosphere which I recognized in the carryings-on of the sessions of the Holy and Great Synod. Here I will mention succinctly several particular reasons. 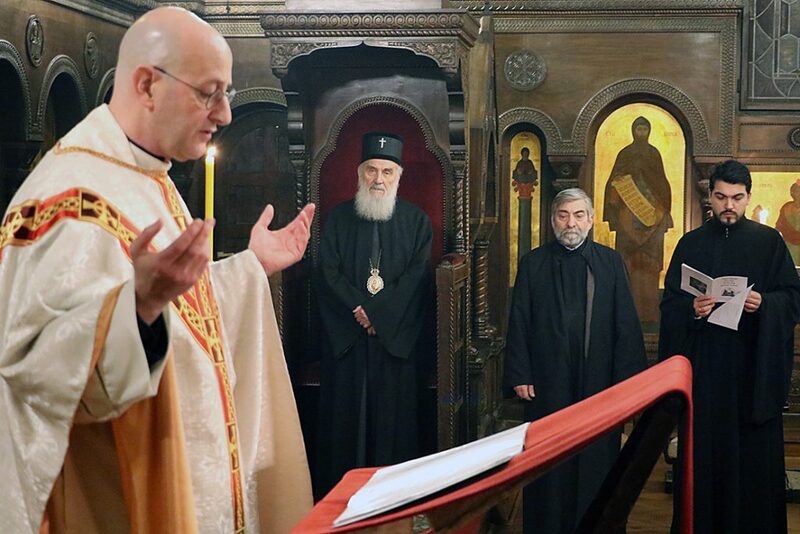 [In making my decision to not sign] I took into consideration that several of the unanimously-voted decisions of the Hierarchy of the Church of Greece were not accepted, not only with regards to the phrase “the Orthodox Church knows the historical existence of other Christian Confessions and Communities” but also in four or five instances. From the beginning, the whole structure and way of thinking in the text troubled me, because it came from the combination of two different texts, yet until the very end I had hope that it would be corrected with the suggestions of the other Churches. My refusal to sign cannot be understood unless I provide some information as to why the delegates of the Church of Greece suddenly changed the unanimous decision of the Hierarchy of the Church [of Greece]. As is known, the initial decision of the Hierarchy in May of 2016 was that [the original text be changed to read] “the Orthodox Church recognizes the historical existence of other Christian Confessions and Communities,” and this was modified [at the Council] to read “the Orthodox Church accepts the historical appellation of other heterodox Christian Churches and Confessions.” The difference between these two phrases is obvious. One last reason, which is not as substantial but carries special weight, is the intense verbal criticism which the Church of Greece received for its decision [to remain faithful to the decision of the Hierarchy]. Certainly, it is on solid ground that the Archbishop of Athens and All Greece, Ieronymos, rejected this offensive treatment. In the end, however, it was this offensive conduct which played a psychological role in the formulation of the other suggestion. I decided, from the outset, to participate in the Holy and Great Synod as a member of the delegation of the Church of Greece, however, I awaited the decisions of the Hierarchy in May of 2016 in order to decide whether I would [finally] attend. When I discovered that the decisions of the Hierarchy were important and unanimous, I ended up deciding to participate in the Holy and Great Synod in order to support them. However, at last, I observed that, for various reasons, not all the corrections to the text which were suggested by the Churches passed. It was the Metropolitan of Pergamon who, obviously in the role of Advisor, at the behest of the Patriarch, was the final evaluator of suggestions, either rejecting them, or correcting them, or adopting them, and his evaluation was accepted by Church of Constantinople and the other Churches. In my view, the text was not ready to be put forth by the Holy and Great Synod, since up to the very last minute, just before the signing, it was being corrected and modified, [indeed] even during its translation into the three official languages, French, English, and Russian. This was the reason why several Churches from the beginning sought the withdrawal of the text for further modification. In addition to this, the text is too diplomatic and can be used by everyone according to their own preferences. As I stated in the meeting of the Holy and Great Synod, the text doesn’t have a strict ecclesiological basis. The question of what the Church is and who are its members was one of the nearly 100 issues which had been raised by the Holy and Great Synod, but, over time, fell to the wayside in view of a wider conversation and dialogue, to be decided later. Hence what the Church is and who are its members must first of all be discussed and defined, and only after this can the position of the heterodox be defined. Also, if I had signed this text, I would have been denying all that I have written for some time now, with regards to ecclesiology and based on the Holy Fathers of the Church. Obviously, this is something I could not do. On the [previous] Friday when this particular text was discussed [at the Council], the conversation reached a dead end at the sixth paragraph, where there was discussion [of the above phrase] as how to refer to the Heterodox. 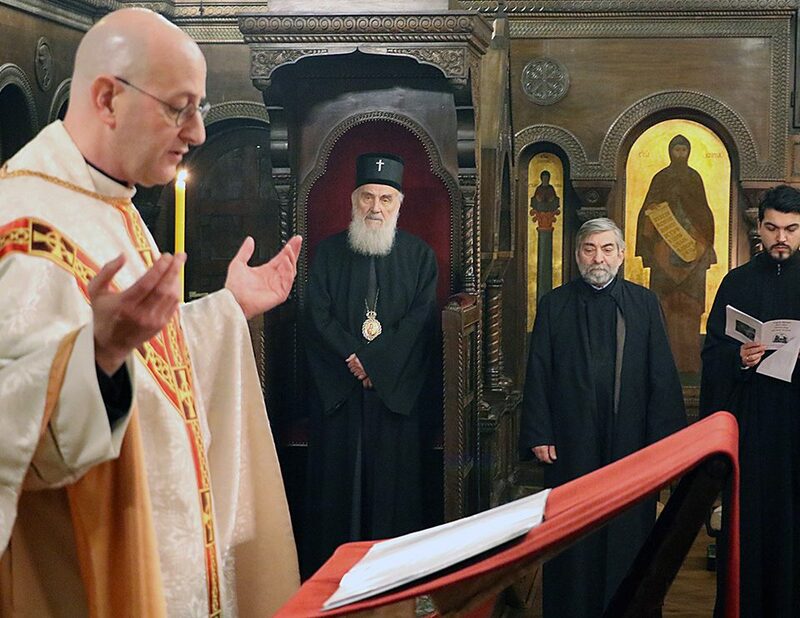 The Church of Romania suggested they be called “Confessions and Heterodox Communities”. The Church of Cyprus suggested they be called “Heterodox Churches”. And the Church of Greece suggested they be called “Christian Confessions and Communities”. Because the Church of Romania withdrew its suggestion, the conversation came down to the suggestion of the Church of Cyprus, which was accepted by the other Churches, and the suggestion of the Church of Greece. 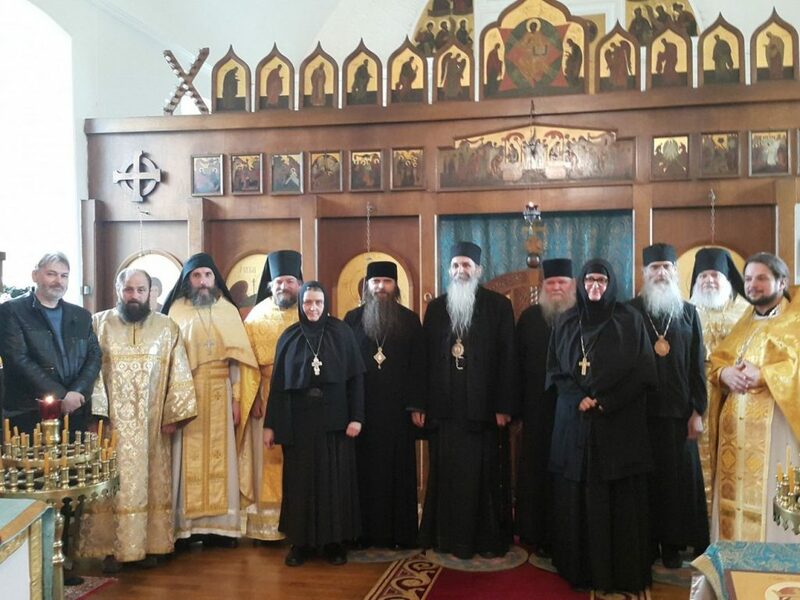 In a special meeting of our delegation on Friday afternoon, it was decided that we would abide by the decision of our Hierarchy even though alternative solutions would be proposed, such as “the Orthodox Church recognizes the existence of the heterodox” or “of other Christians” or “of non-Orthodox Christians”. 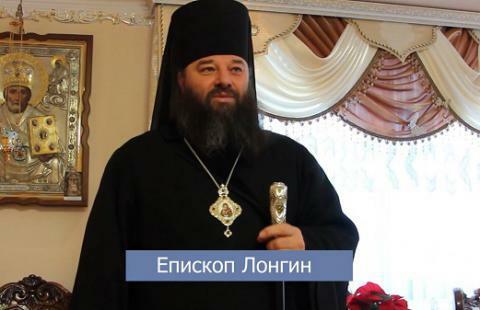 Because the suggestions of the Church of Greece were not accepted, the Ecumenical Patriarch, in the afternoon session on Friday, publically suggested that there be a meeting between the Metropolitan of Pergamon and myself in order to find a solution. 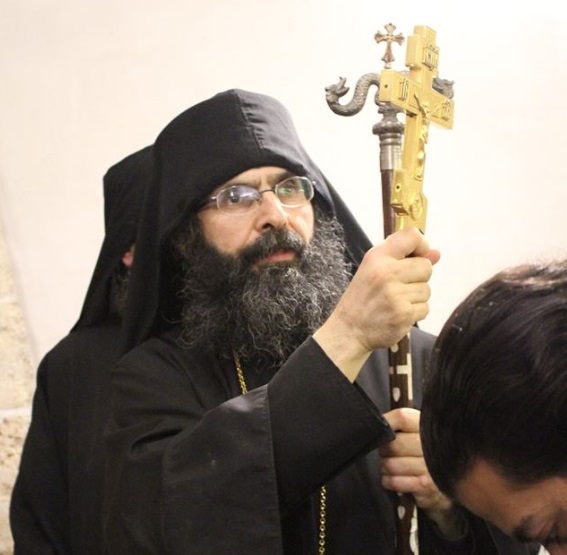 The Metropolitan of Pergamon did not seem open to such a thing, and I stated that it was not a personal issue where I could take on the responsibility alone, but it was an issue for the entire delegation. 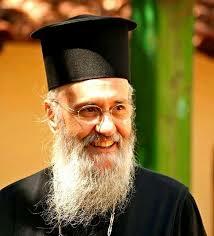 Thus, the Ecumenical Patriarch suggested to the Archbishop of Athens that some solution be found. Saturday morning before the session, our delegation gathered to make the relevant decision. The Archbishop of Athens and all of Greece, Ieronymos, acting democratically, mentioned that there are three particular solutions. 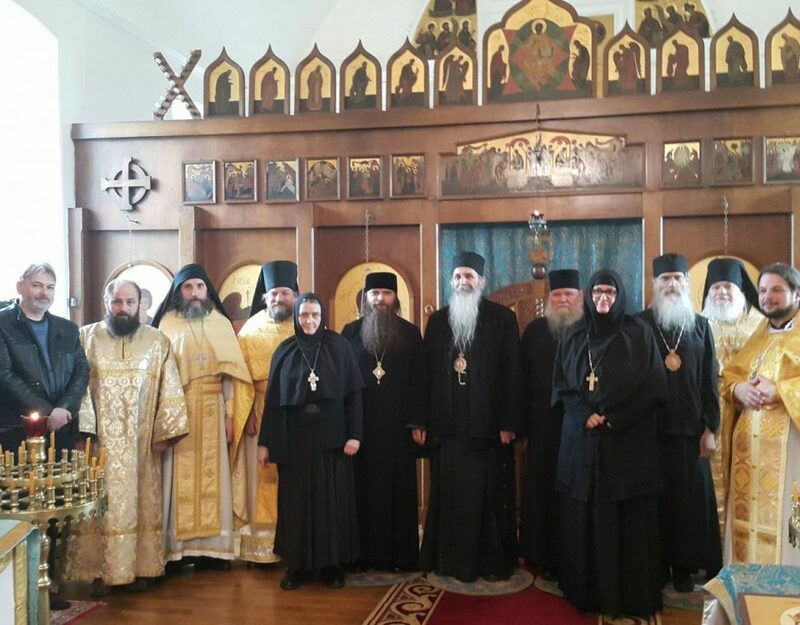 The first was to abide by the decision of the Hierarchy; the second was to put forth a new suggestion with very particular considerations (of which I do not know where it came from or who proposed it) that read, “the Orthodox Church accepts the historical appellation of other heterodox Christian Churches and Confessions”; and the third was that we accept the suggestion of the Church of Cyprus which spoke of “heterodox Churches”. A discussion ensured and the delegation voted upon the three suggestions. Personally, I supported the first suggestion’s alternative formulations previously referred to [approved by the Hierarchy], while all of the others present voted for the second. I thought that this suggestion was not suitable from an historical and theological perspective and I declared immediately before all those present that I would not sign this text if this suggestion was put forth, but for the sake of unity I will withdraw from further conversation. Consequently, I would not be able to sign the text for the [stated] reason. At the very least, I [can attest thatI] personally was subject to severe pressure and abusive treatment from the Hierarchs for my stance, and I was informed that the other Bishops of our Church were also subject to such pressures, as well. And, because I always [strive to] behave with calmness, sobriety, and freedom, I could not accept these insulting actions. These are the most basic reasons which, theologically and from a sense of conscience, made it impossible for me to sign. It is true that, on the final text which was published, my name appears as a supposed signatory of the text, evidently since I was a member of the delegation of the Church of Greece [even though I did not sign]. Here I present only this limited information about what happened concerning the matter [of the “Relations” text]. I will write more later, when I will analyze historically and theologically what is troublesome with regard to the final suggestion which the Church of Greece made and which passed into the [final version of the] text.